BODYPUMP is a barbell workout designed to get you lean, toned and fit. The combination of scientifically-backed moves, motivating instructors and great music helps you achieve much more than you would on your own. The effectiveness of BODYPUMP™ comes from The Rep Effect, a proven formula of high repetition resistance training that exhausts muscles using light weights and high repetitions – this is the secret to developing lean, athletic muscle. HOW MANY CALORIES DO YOU BURN DOING BODYPUMP? While you can expect to burn around 560 calories* during a 55-minute BODYPUMP workout, it’s the building of lean muscle mass that provides the long-term benefits. By building lean muscle mass you increase your body’s ability to effectively burn calories in the long term as the extra muscle will raise your metabolism. Read more about this here. HOW OFTEN SHOULD YOU DO BODYPUMP? 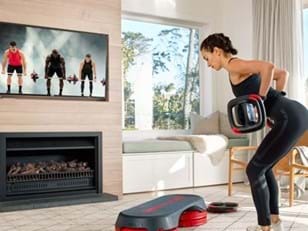 BODYPUMP challenges all of your major muscle groups so we recommend you do no more than two to three classes a week, and make sure you have a day off in between. Add two or three cardio classes into the mix and you’ll shape and tone your body in no time. WHAT EXERCISES DO YOU DO DURING BODYPUMP? A 55-minute BODYPUMP workout features ten tracks, each focusing on a different muscle group. While instructors will often mix and match the tracks, you can always expect to do a good dose of squats, deadlifts, clean and presses, lunges and bicep curls. And, more often than not you’ll find push ups, chest presses, overhead presses and crunches are part of the mix too. DOES BODYPUMP REALLY GET RESULTS? 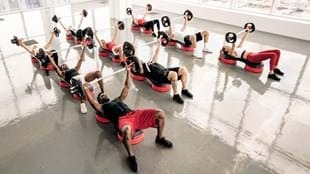 BODYPUMP really is the ultimate calorie burning resistance training workout. A ground-breaking new study shows that BODYPUMP generates a long-term calorie burning response that is far greater than a calorie-matched cardio class. BODYPUMP can therefore be described as a more potent exercise stimulus. This is backed up by research highlighting that the fast tempo resistance training of BODYPUMP expends more energy than lifting heavier loads at a slower rate. Studies also show that the high-repetition, low-load training of BODYPUMP can aid bone density and reduce the risk of osteoporosis. HOW MUCH WEIGHT SHOULD YOU LIFT DURING BODYPUMP? There’s no pressure to lift heavy in a BODYPUMP class. In fact, the whole workout is structured around high repetitions using light weights. However, continual progression is the key to getting the most out of any strength training, so you need to lift more weight as you get stronger. If a BODYPUMP workout is not getting you hot and sweaty, and you’re not hanging out for the end of each track then it’s likely that your resistance is too light. We suggest you pick a couple of tracks where you think you can lift a heavier weight and add an extra weight plate to your bar. Remember, if at any time you feel that the weight you are lifting is compromising your technique stop for a few reps and reset – or simply drop your weight slightly. In a BODYPUMP workout there are options to suit every ability. If you’re new to the workout start with very light weights (or even just the bar). Perhaps just do the first four or five tracks a couple of times a week. You’ll find your fitness and strength improves over a number of sessions. WHAT DO YOU NEED FOR A BODYPUMP WORKOUT? BODYPUMP uses a weight bar and weight plates and a step. You’ll need to wear comfortable workout clothes and supportive shoes, and bring your own drink bottle and a sweat towel. CAN YOU DO BODYPUMP WHILE PREGNANT? Plenty of people do BODYPUMP during pregnancy. If you’re pregnant and keen to do BODYPUMP we suggest seeking the advice of your doctor or midwife, as they have the best understanding of your personal medical history. If you can, chat to your instructor beforehand and let them know you’re pregnant – they will be able to coach you through the pregnancy modifications during the class. CAN YOU SUGGEST A SONG FOR BODYPUMP? HOW DO YOU BECOME A BODYPUMP INSTRUCTOR? The first step to becoming a BODYPUMP instructor is to connect with a club or your local Les Mills team. We’ll then provide you with plenty of training, you’ll get assessed and then you’ll be ready to lead your own classes. You can find out exactly what it takes to become a BODYPUMP instructor here. WHERE CAN YOU DO BODYPUMP? You can find a BODYPUMP class near you here. 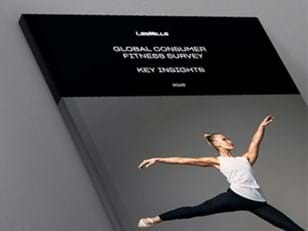 Alternatively, check out LES MILLS On Demand and do BODYPUMP anytime, anywhere. *AUT University (2014, April), Exercise Intensity and Energy Expenditure During the Les Mills BODYPUMP Class.